This page is outdated, however is still relevant. You will find a complete new range of transceivers out there these days. Skiing and snowboarding in the backcountry has a different buzz for everyone, but one thing that everyone has in common is they have at least a transceiver, a probe and a shovel. These 3 pieces of equipment are the minimum you want to take with you if you are going backcountry and most will also have poles, snowshoes or skins, food, drinks and an appropriate backpack to carry it all in. The following gives you a few ideas on some of the products available. These days there are many transceivers to choose from and it really comes down to personal preferences as most on the market these days are well-proven. 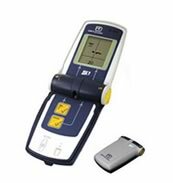 In the last few years however a new generation of transceivers have come onto the market that can search for people in multi burials and include many other useful features. The Tracker DTS is a reliable transceiver that has an excellent record. Coming onto the market over 10 years ago it is a great entry-level device due to its ease of use. 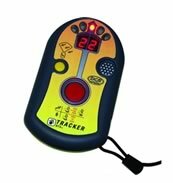 Features include, directional lighting and digital distance readings. The Tracker DTS revolutionized the transceiver market by introducing digital, dual antenna technology. What this boils down to is that finding people caught in an avalanche, with the aid of this technology, is quicker and easier than before. New on the market in 2008 the Ortovox S1 transceiver provides information for up to four transmitters, including search direction and distance from the searcher. The latest in transceiver technology, the Ortovox S1 sensor-controlled transceiver displays real time visual information for quick, simple searching and has an electronic compass, temperature display and even a slope-measuring device. When buying a probe there are less things to look for but it is recommended that you get a probe at least 250cm long. Other features that are offered by backcountry gear manufacturers are quick draw and measurement rulers at various scales so you can easily work out how deep the person you are searching for is buried. As mentioned at the beginning of the article you will also need a shovel, again there are many choices available. Things to look for are a strong blade and ergonomic handle. Many recommend an alloy blade over plastic as they are far more effective in digging through harder layers that may have been dislodged in a slide. So if you are heading into the backcountry this winter make sure you have at least the above 3 items. Just having these items is of course only the beginning you also need to know how to use them and it is essential that if you do go into the backcountry, go with someone who is experienced. Back country awareness courses are also a potentially life saving idea and well worth the investment of time and money.